When I landed, I felt the surface move. Will I always be away from home? I felt the crest of a wave crash over me. Hailing from Vancouver, Teen Daze is the moniker created by producer Jamison. After two EP’s—Four More Years (Arcade Sound Ltd., 2010), A Silent Planet (Waaga, 2011)—several remixes, and a bit of touring, Teen Daze finally delivered their first full-length All Of Us, Together LP (Lefse, 2012). Jamison’s connection to the book “Out of The Silent Planet” by C.S. 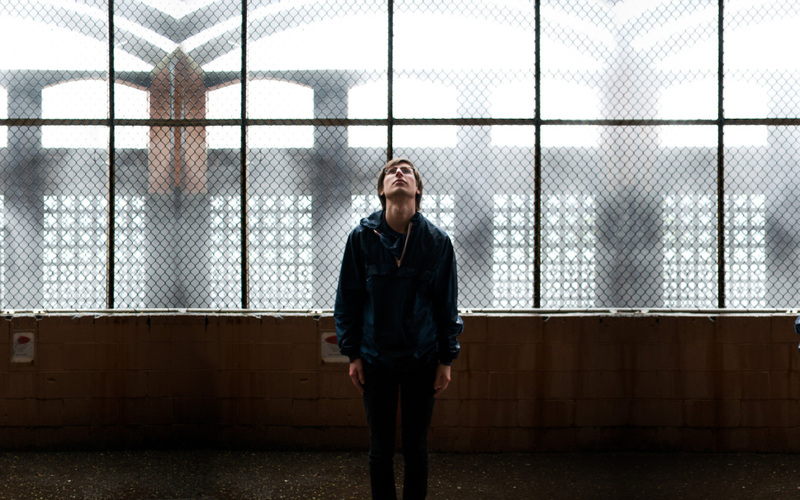 Lewis can attribute some of the atmospheric chillwave sound heard in Teen Daze. Four years earlier in February 2008, Jamison spent seven weeks in the Swiss Alps studying philosophy, engulfed in the books of great thinkers, one of whom was C.S. Lewis. While the inspiration Jamison got from C.S. Lewis manifested in the A Silent Planet EP, Teen Daze’s evolutionary sound can be heard full circle in All of Us, Together, as a culmination of all his work to this point. In the internet age, musical trends come and go so quickly, and many artists find themselves pasé before they even get the chance to release a second album. So, while chillwave ruled the blogosphere in 2009, just three years later, that gauzy, sleepy sound that so many fell in love with is actually almost retro now. Due to this, chillwave artists have been faced with an interesting dilemma: either change with the times and risk alienating your core fans (if such a group even exists anymore) or roll with what works and risk becoming sonically redundant. Going off of June 2012’s full-length All of Us, Together from Vancouver producer/vocalist Teen Daze, it looks as if the mercurial Canadian (he still hasn't released his real name, just going with Jamison) will stick firmly in the latter camp. While calling an album that came out in 2011 a "classic" is a stretch, his six-song EP A Silent Planet is undoubtedly one of the genre's high watermarks, though it hasn't received the acclaim or popularity of work by artists like Washed Out, Toro Y Moi and Neon Indian. While the prolific Canadian has an impressive catalog of self-released work—especially the superb, Beach Boys-inspired Four More Years EP—A Silent Planet remains the best introduction to Teen Daze's unique take on chillwave. Calling influences from Balearic Beat—the beachy sound of the Mediterranean Islands off the east coast of Spain—electronica and dream pop, the EP is an engaging collection of tracks that are heavily focused on both creating the right ambience and engaging songwriting. The disc's leadoff cut, "Surface," is a blissful, undulating number that pits a chorus of mellifluous vocals over layers and layers of heady, ecstatic guitars and keyboards. Its most epic cuts are deftly balanced by a few well-placed moments of reflection, most notably the wonderful, delicate "Watch Over Me." Backed by a celestial guitar/keyboard melody, Teen Daze brings his vocals to the front of the mix, cooing sweetly "The way you look now in the night. You're different again." Vocally, it's a surprisingly transparent moment, as most of the vocals are buried in layers, seemingly more interested in adding to the atmosphere of the song than taking center stage. This is further evidenced by the excellent "I Fell Into the Light" and "It Calls Me Under" with the latter showing off Jamison's impressive falsetto. Though nostalgia has always been one of the real pillars of chillwave, many of its key purveyors have always remained firmly forward-facing, and Teen Daze is no exception. One only need listen to the first singles off his debut LP, All of Us Together, (especially the aptly-named "The Future") to see that the future is bright for Jamison. Chillwave may go out of the style, but good music never will, and as long as that's true, Teen Daze will have no trouble finding new listeners.